Tickets for Stoke? Become a CTSA member! 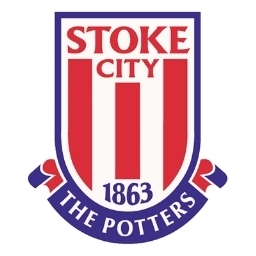 If you’re not a season ticket holder or a CTSA member, then your first chance to buy Stoke City tickets will be when they go on general sale on Sunday morning. However you can jump the queue by joining the Crawley Town Supporters Alliance- and purchase your tickets on Friday instead. CTSA membership costs £10 for adults, £5 for children, £8 for concessions and £20 for a family group of two adults and two children under 16. As well as giving you ticketing priority CTSA membership also gives you 10% off in the club shop, reduced price coach travel to away games and other special member offers. You will also be investing in initiatives designed to benefit your football club and community. The CTSA cabin will be open for memberships today (Thursday) from 12-2PM and 6.30-8 PM, and tomorrow (Friday) from 10 AM right through to 8PM. We’ll get your membership card to you immediately, so you can purchase your tickets and treat yourself to a nice reduced price CTFC hoodie or beanie hat to help combat the Siberian weather that is apparently on the way! And if you click the link below you can print out your membership form and save yourself some time. I’ll be there from 9am tomorrow actually! Are you a (very) keen fan or one of the CTSA – in which case are you saying that I could join up earlier than 10am on Friday, which would b handy?